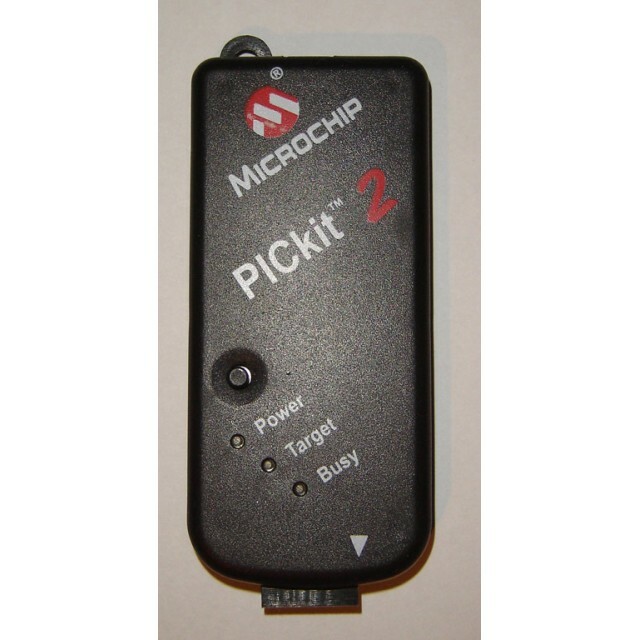 Pickit 2 Software/Firmware V2.6x (.zip). 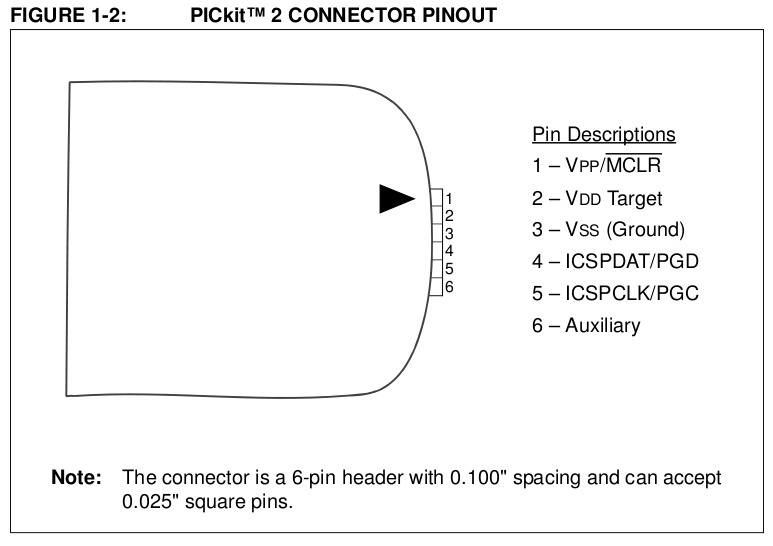 PICkit 2 Logic Tool User Guide (.pdf). PICkit 2 Microcontroller Programmer User's Guide (.pdf). PICkit 2 Overview Presentation PPT and PDF (.zip). 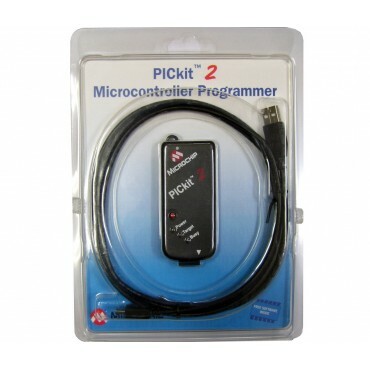 The PICkit 2 Microcontroller Programmer takes advantage of Microchips Full-Speed USB device, significantly speeding up development programming. The PICkit 2 Programming Software. An A to mini-B USB cable. 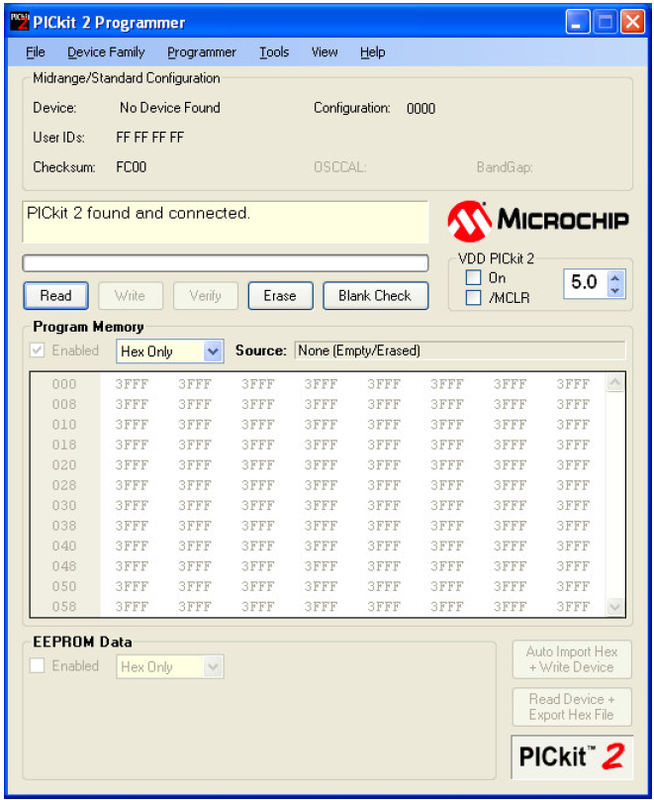 Lessons for programming PICmicro MCUs, and more.